When you are considering homecare for either yourself or a loved one, one of the key issues will be how this care will be funded. We have outlined below some of the options open to you with relevant contact information shown where relevant. Privately funded options such as Equity Release, Annuity Based Care Plans and Long-term Care Insurance are available. We suggest that your next step is to contact a financial adviser through the Financial Services Authority to find out more information. 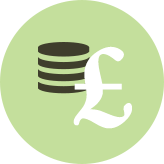 Direct Payments are monies paid by the Local Authority directly to people who have been assessed as needing care at home, to enable that person to organise their own home care, as an alternative to care organised by the Local Authority. The cash payment via Direct Payments must be used to arrange services to meet the individuals care need as assessed by the social worker. NHS continuing care is a package of care arranged and funded solely by the NHS. It can be provided to people in their own homes. It should be provided to people whose health needs are such that they are totally the responsibility of the NHS. NHS continuing care is free to people who qualify under guidelines set by their local Strategic Health Authority (Regional Health Board in Scotland or Local Health Board in Wales) and/or social services. If NHS continuing care is provided in an individual’s own home, the NHS will meet the full cost of the service user’s personal health needs including equipment and adaptations to the home and may cover your living and accommodation costs. The NHS does not usually meet the cost of accommodation, food or other household bills. Applications for funding should be made as early as possible. For more information contact your local PCT, or NHS Direct or 0845 4647 who will be able to give you further details. Self directed support is designed to help people take control of their own social care budgets, manage their own support and choose the services that suit them best using the money from different areas more flexibly. The person is at the centre of the planning process as they are best placed to understand their own needs. People who have been assessed as eligible to receive community care services under the Government Fair Access to Care Services Guidelines [FACS], are eligible for public funding and who are willing and agreeable to accessing all the money to which they are entitled. People who have support needs themselves or someone on their behalf can contact Adult Social Care to ask for an initial assessment of their needs. A meeting will be arranged to assess if you are eligible to receive support from Adult Social Care. If you are eligible Adult Social Care will need to know what support you need to live the way you choose. You will need to complete a simple form called a Self Directed Support Questionnaire; this is part of the Resource Allocation System [RAS]. You can do this yourself, with help from Social Care or other people who you choose. The RAS will show what support you need and the amount of money that may be available to meet your needs from Adult Social Care. The RAS will also show if you need to claim other benefits if you are eligible to do so. With an Individualised Budget you can choose to have services provided by Adult Social Care in addition to employing people directly. You could not do this with direct payments. Community Equipment Service, and/or Access to Work. Attendance Allowance, sometimes referred to as AA, is a tax-free benefit for people aged 65 or over who need help with personal care because they are physically or mentally disabled. You are aged 65 or over when you claim If you are under age 65, you may be able to get Disability Living Allowance.